Born and raised in Scotland she studied in England, ran off to America, then returned to begin a career in a variety of wide ranging fields: movie theater popcorn seller, runner, bike courier, bar tender, lifeguard, teacher, counselor and coffee shop owner. Her need to write about everything she encountered eventually worked its way into bank of fabulous detail for a career in fiction.Her first book; 'Doolallys; the story of a little coffee shop with a big heart' is based on her adventures as a cafe owner in the historic town of Bath, England. 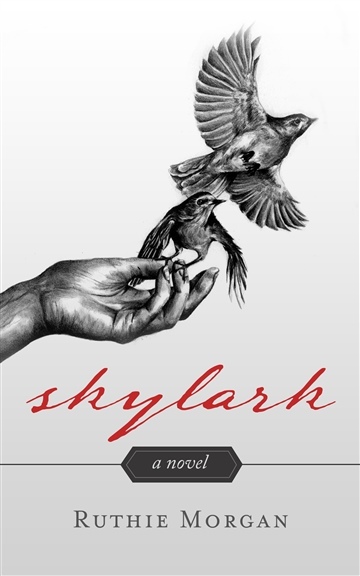 Ruthie's first work of fiction: 'Skylark' is now available on Amazon and continues to receive rave reviews. With the sequel well underway, fans of Ruthie can look forward to another installment in the St. Cloud based saga.